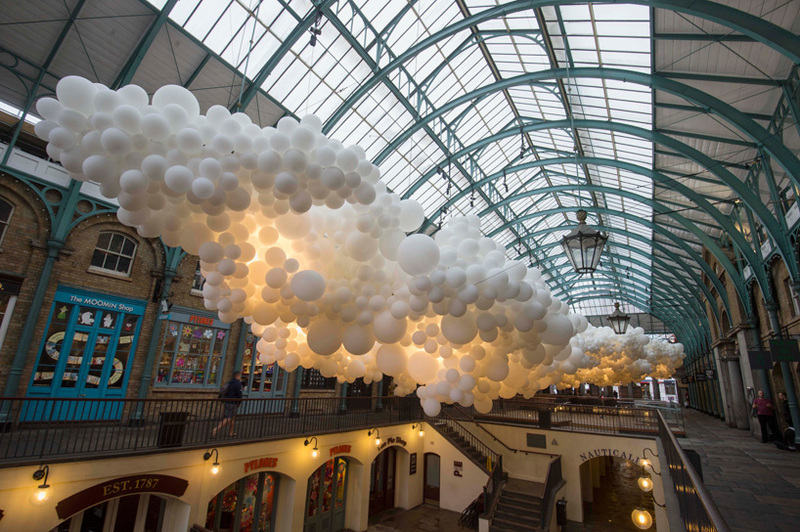 The well known 19th century market building in Covent Garden, London, has recently been filled with 100.000 giant white balloons floating on its ceiling. 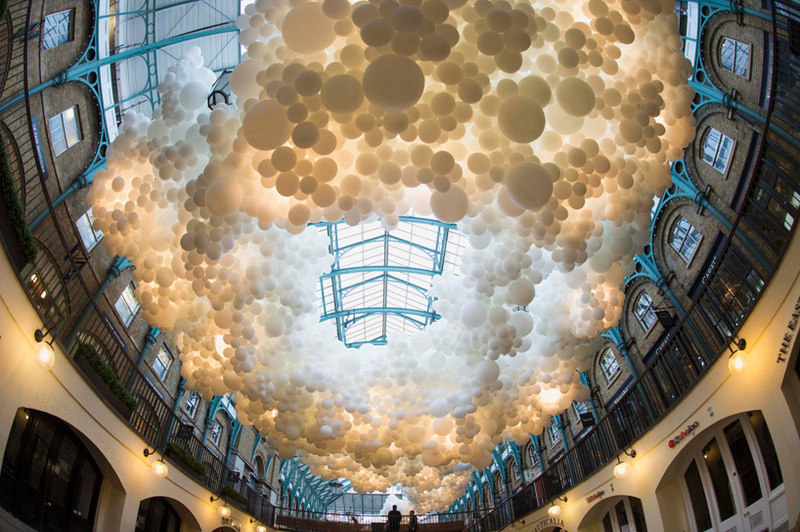 This is the latest work of Charles Pétillon, a french artist, whose work is also his first public installation. 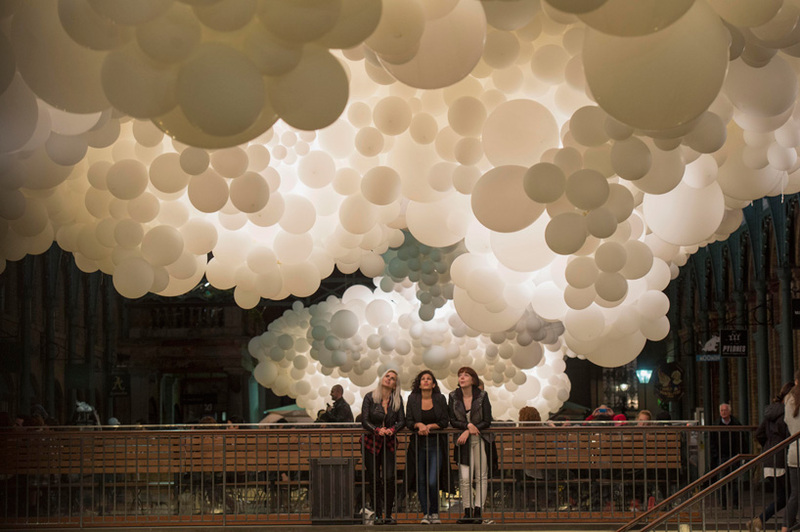 After some works in which a big amount of white balloons were the main focus, the artist has now moved his compositions into a public space, giving birth to this incredible and breathtaking installation. 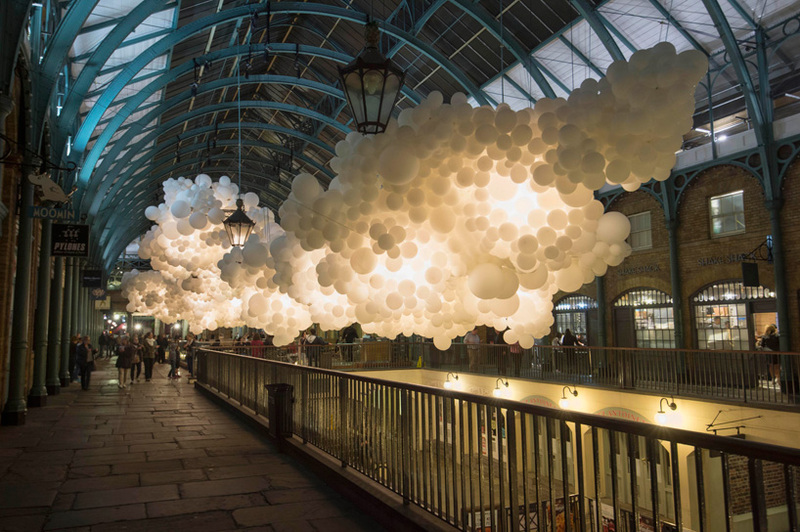 As you may see in the pictures below, at the center of the big cloud made of balloons there is a light, which is pulsating rhythmically. That's the reason why the installation is named heartbeat, dictated by the will of the artist to represent the beating heart of the area in which heartbeat is located.